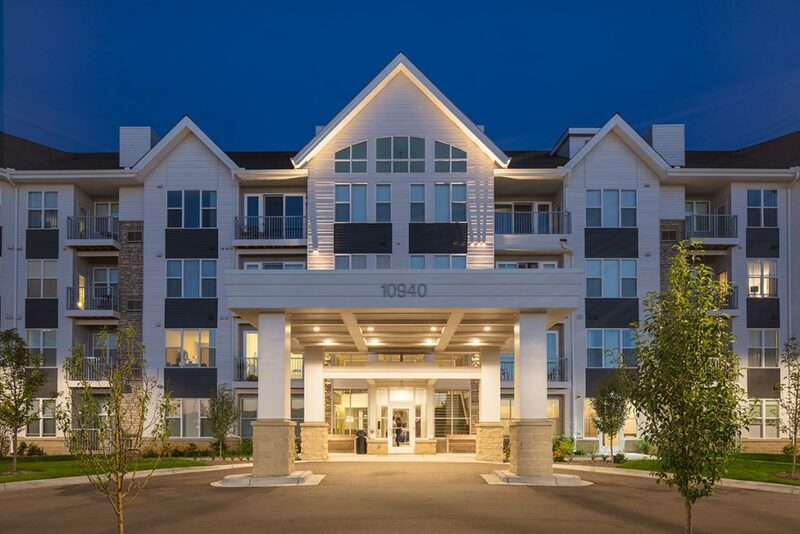 River North Senior Apartments provides independent affordable housing for seniors over the age of 55. 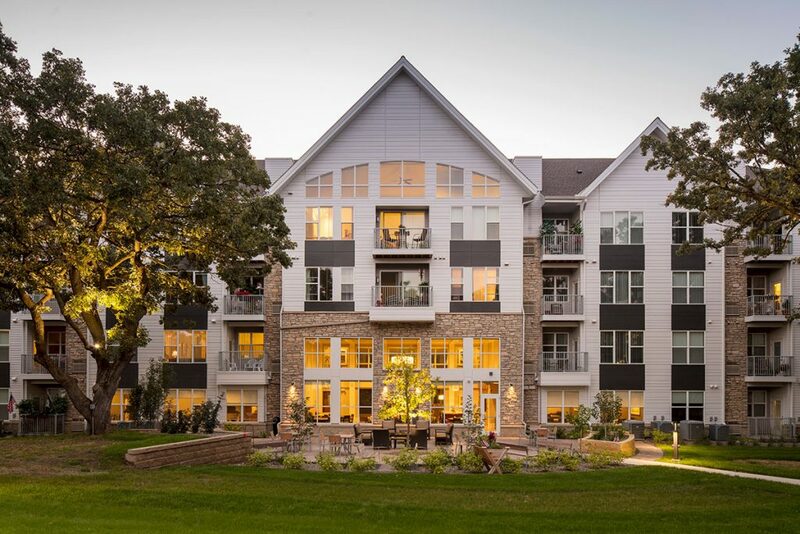 Of the 167 apartment homes, floor plans range from one- to three-bedrooms. 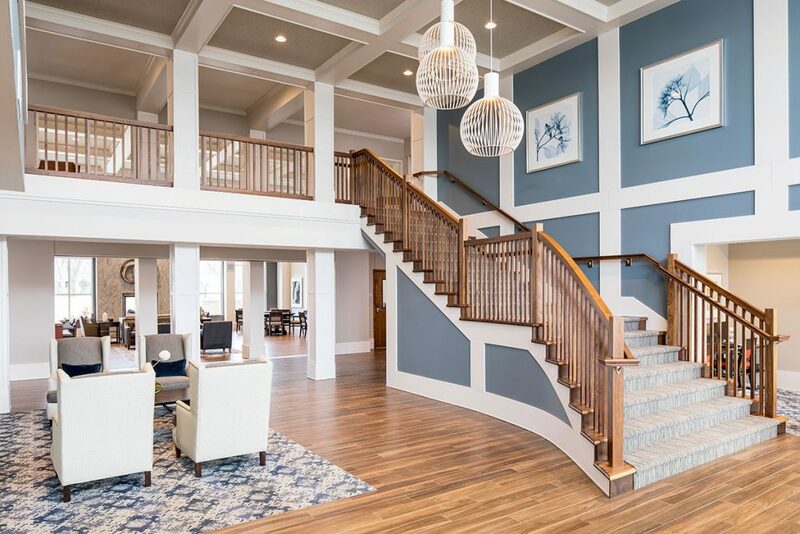 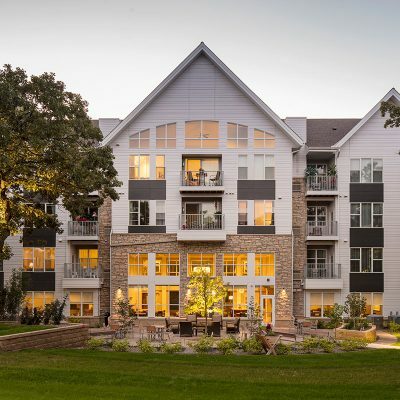 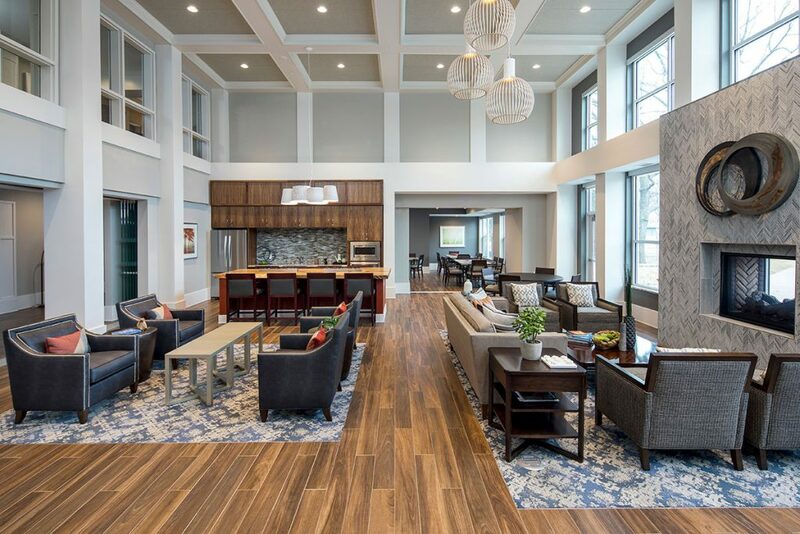 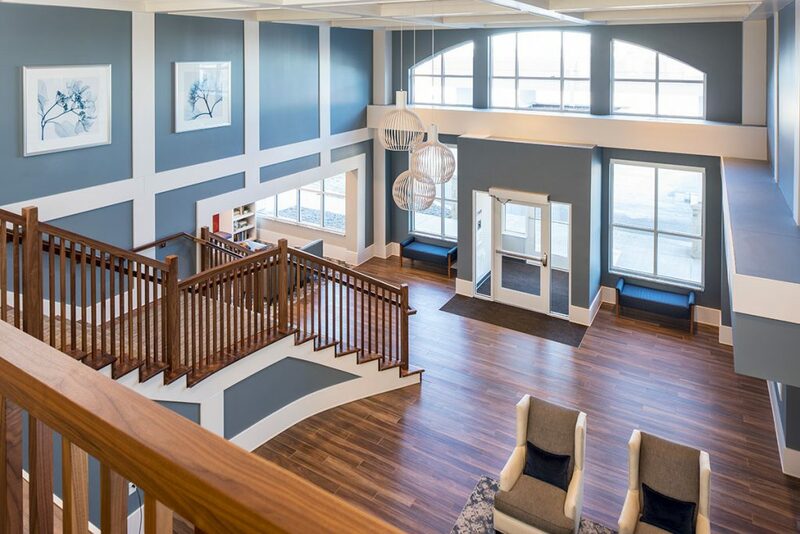 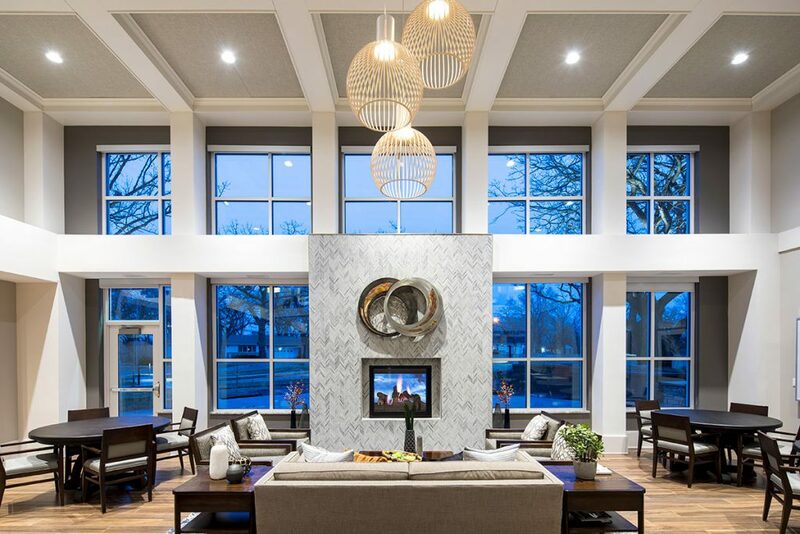 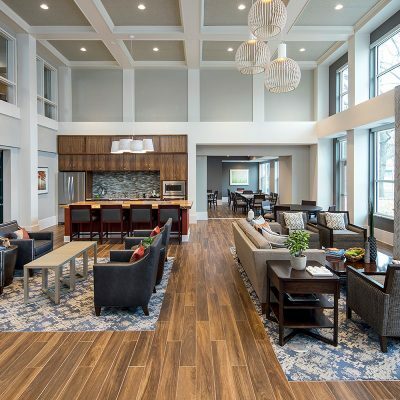 River North Senior Apartments consists of four stories of residential garden-style living with multiple floor plans and heated underground parking. 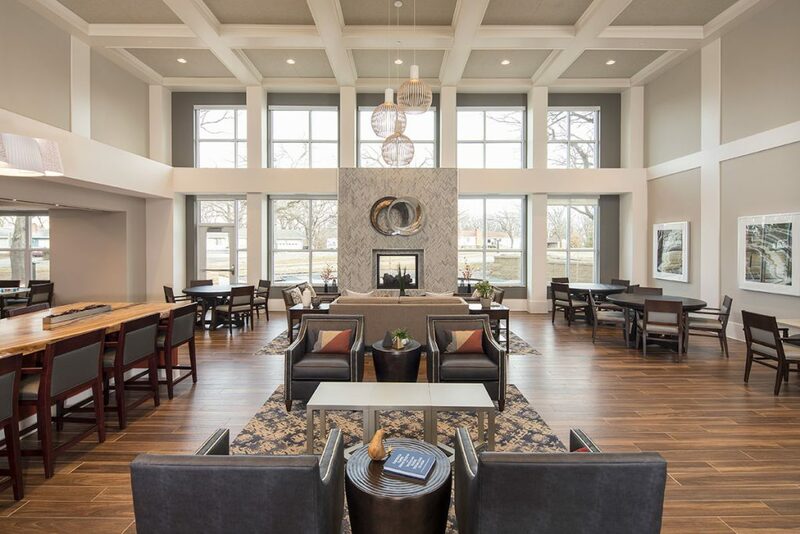 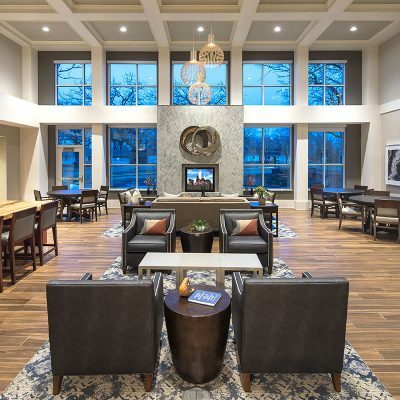 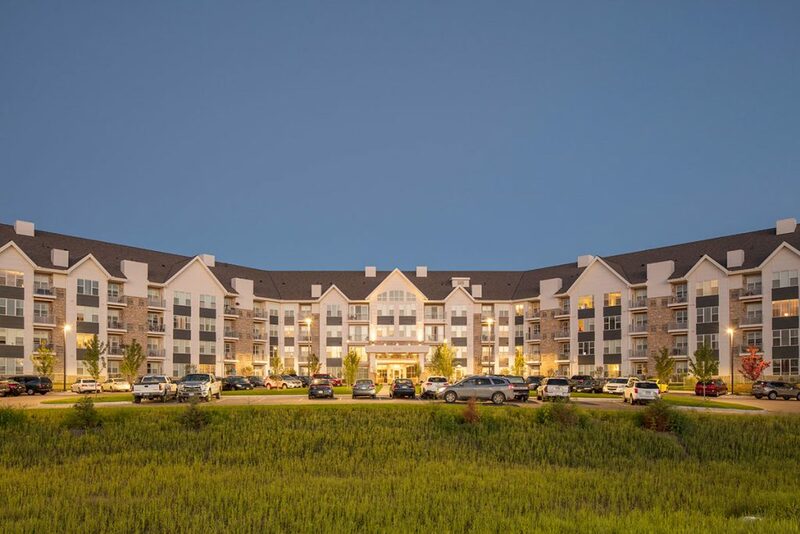 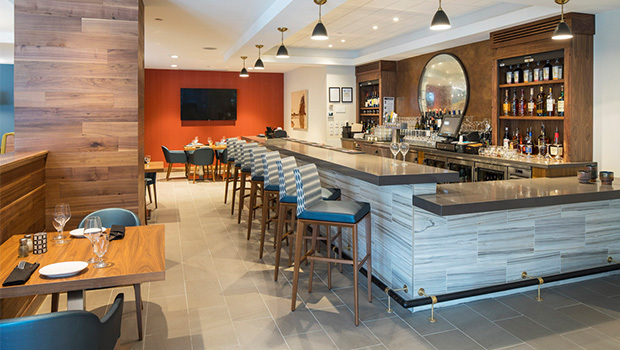 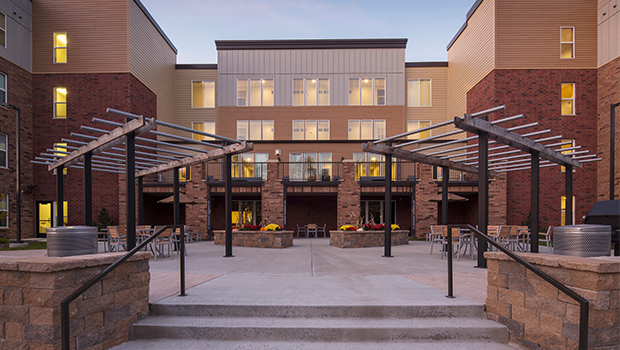 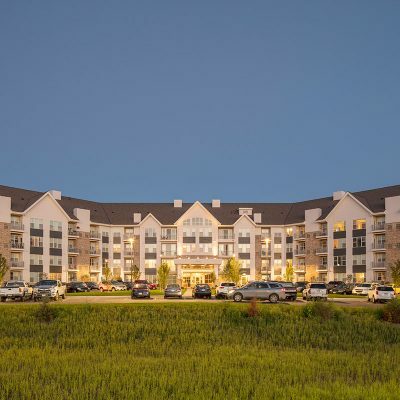 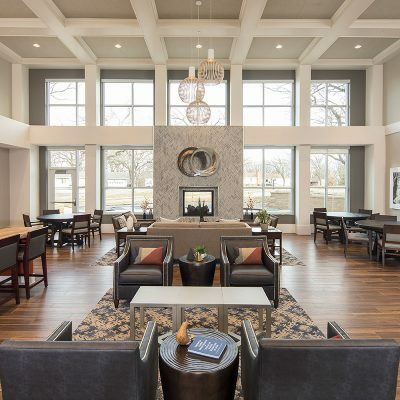 Nearby commercial and retail businesses make this an ideal site for active seniors who seek to maintain a connection to the community. 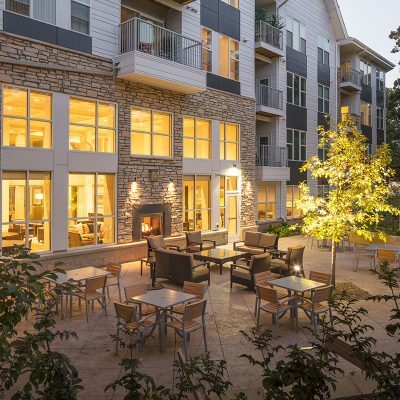 Each unit is uniquely designed as an independent living apartment with open floor plans, large living rooms, balconies and patios. 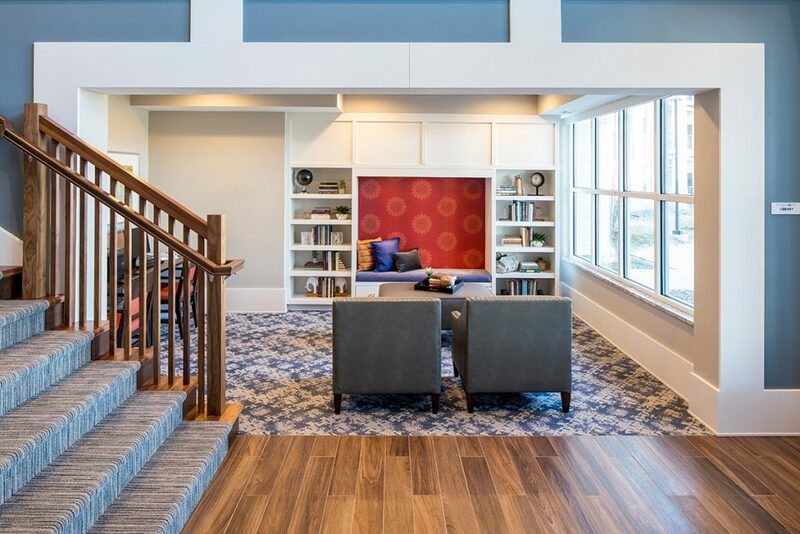 Bathrooms have walk-in showers, and bedrooms offer enough space for a king-size bed and large walk-in closets. 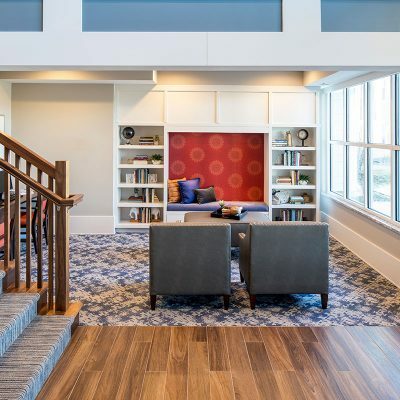 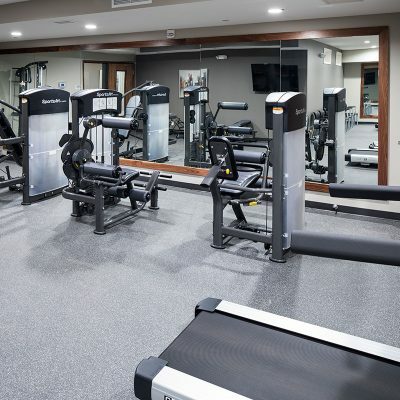 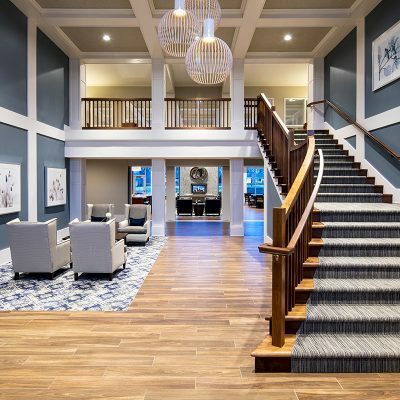 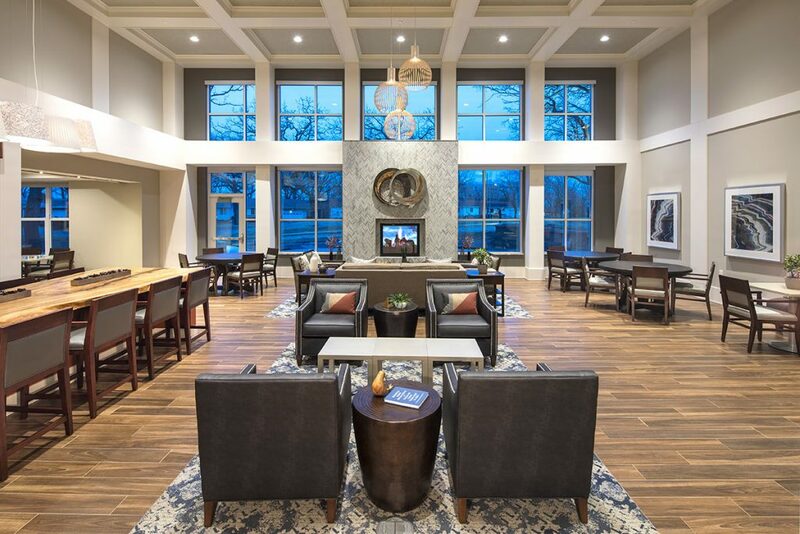 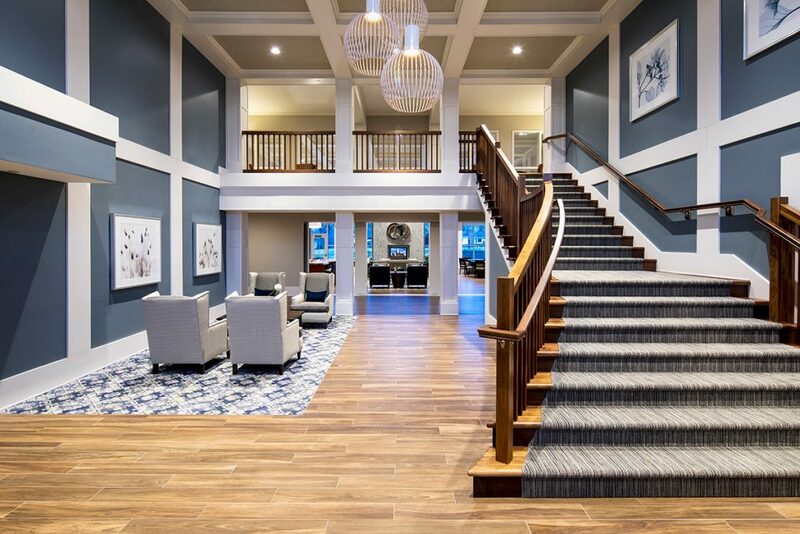 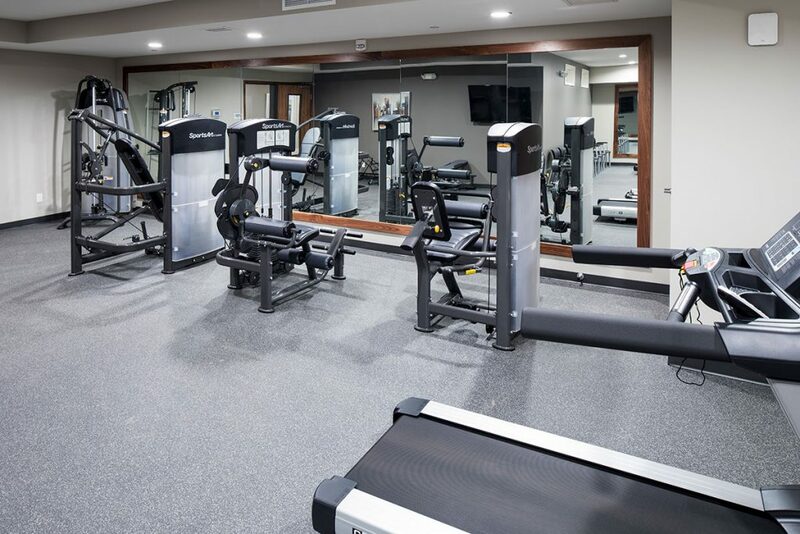 There are also several community amenities and activities that encourage interaction among residents such as the card/craft room, spa, happy hours, fitness classes, community parties, transportation from a community bus, and movie nights in the theater room. 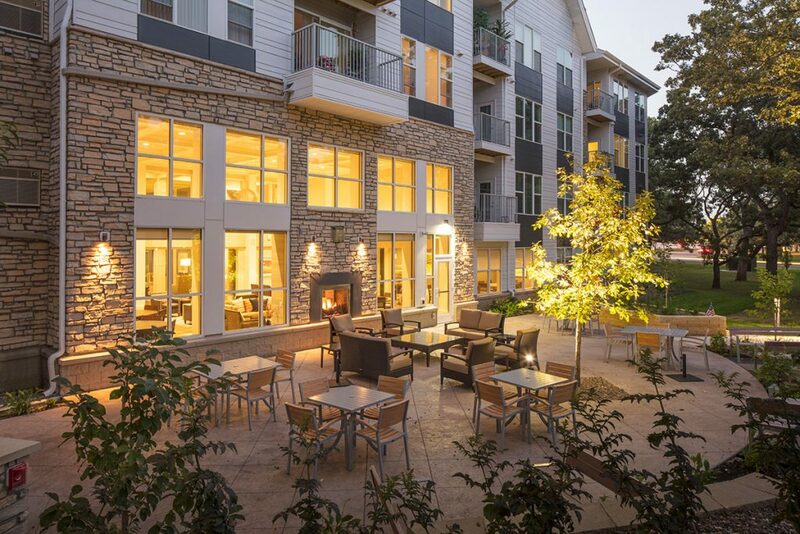 Located off the back of the clubroom is an outside patio area with grills available to the residents. 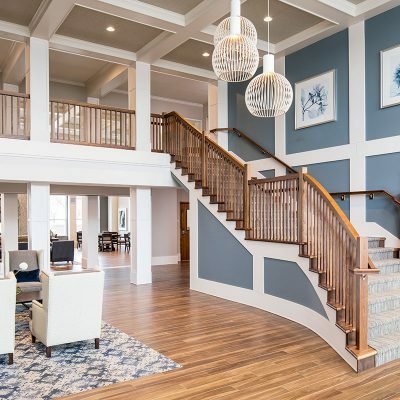 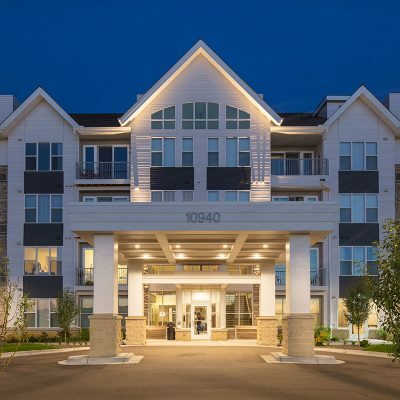 This project provides housing for active seniors who don’t require the services provided by an assisted living complex, but still want to enjoy maintenance-free living in an environment where they are surrounded by others their age. 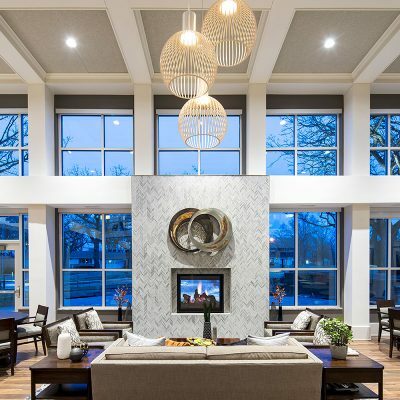 BKV Group is a design firm providing a full complement of architecture, engineering, interior design, landscape architecture and construction administration services. 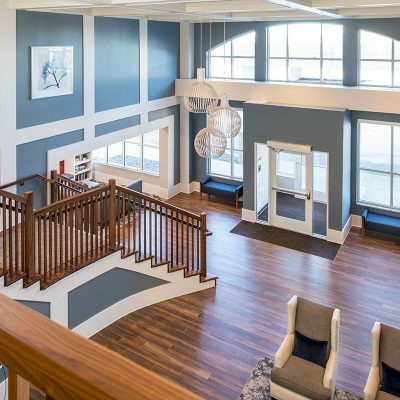 Since 1978, BKV Group has grown from a sole proprietorship into a diverse partnership with practice sites in Chicago, Dallas, Minneapolis, and Washington, DC, serving clients locally and nationwide.